As designated in 2009 by the FIP Council in Istanbul, Turkey, 25 September marks the annual World Pharmacists Day. FIP encourages pharmacists to use this day to organise activities that promote and advocate for the role of the pharmacist in improving health in every corner of the world. "Safe and effective medicines for all” is the theme of this year’s World Pharmacists Day. “Pharmacists use their broad knowledge and unique expertise to ensure that people get the best from their medicines. We ensure access to medicines and their appropriate use, improve adherence, coordinate care transitions and so much more. 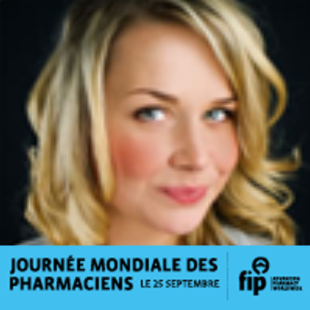 Today, more than ever, pharmacists are charged with the responsibility to ensure that when a patient uses a medicine, it will not cause harm”, says FIP President Dominique Jordan. Closer to September FIP will be releasing an app that pharmacists can use to amplify the WPD message. Save the date in your calendar and get ready to celebrate! Support this campaign by using this Twibbon for you social media profile picture. Post by International Pharmaceutical Federation (FIP).